With so many different savers at your disposal, you'll be able to fit an abundance of different fruits and vegetables, including but not limited to lemons, apples, oranges, onions, cucumbers, tomatoes, and many more. There are no savers for jars with a 4-inch diameter. What we have here is a safe and convenient alternative to plastic wraps. 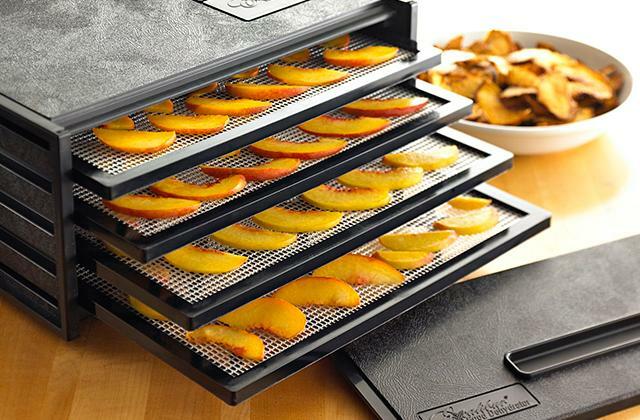 It is perfectly suitable for saving the second halves of your fruits and vegetables. The food huggers are secure enough but, at the same time, they're pretty easy to remove. 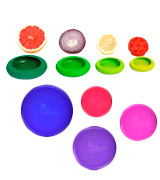 8 round-shaped food savers: 2 x 1.75", 2 x 2.25", 2 x 2.5", 2 x 3"
The silicone here is highly stretchable, making these savers suitable for containers ranging from 3 to 10 inches. You can use them to cover and seal mugs, cans, cups, jars, bowls, plates, glass trays, the list goes on. The savers lose their original form after some time. 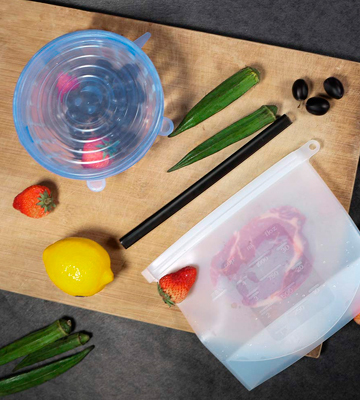 With MIRUIKE Universal Silicone Stretch Suction Pot Lids, you'll be able to keep anything sealed and preserved, from the smallest fruit to the largest container. The savers here very much differ in size but they're all equally heat-resistant and dishwasher, microwave, and freezer safe. 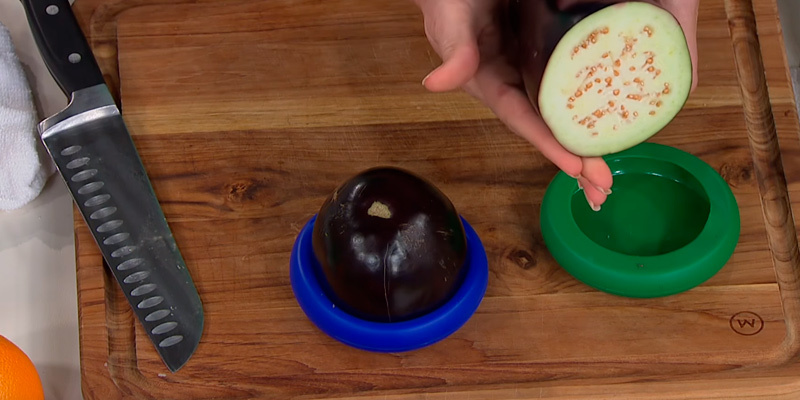 4 round-shaped food savers: 1.8", 3", 5", 6"
Using the 1.25" saver, you'll be able to cover and seal half-eaten zucchinis, cucumbers, bananas, and other similar fruits and vegetables. You can also use the said saver for wide-neck glass bottles. The huggers don't lose their form even after years of use. The huggers absorb odors of covered food. This is a food hugger set that gives you quantity and quality at the same time. The silicone here is FDA-approved and 100% BPA- and phthalate-free. You can also use these savers as reusable can covers to keep the contents nice and fresh. 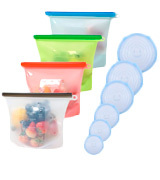 5 round-shaped food savers: 1.25", 1.5", 2.5", 3", 4"
The bags come with easy-to-read markings (ml, oz, cups) and airtight zip seals. 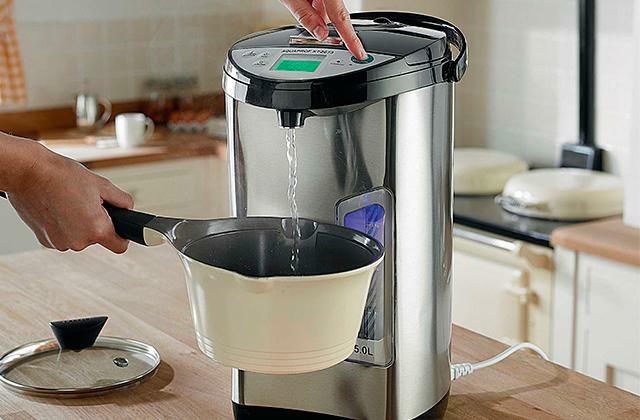 Just like their food-hugging counterparts, the bags are dishwasher, microwave, freezer, and boil safe. 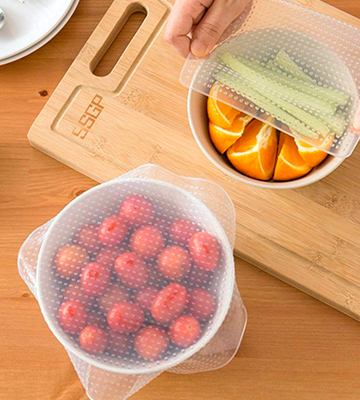 They're completely leakproof, so you can use them for soups, sauces, and smoothies. It takes a great deal of strength to seal the bags. 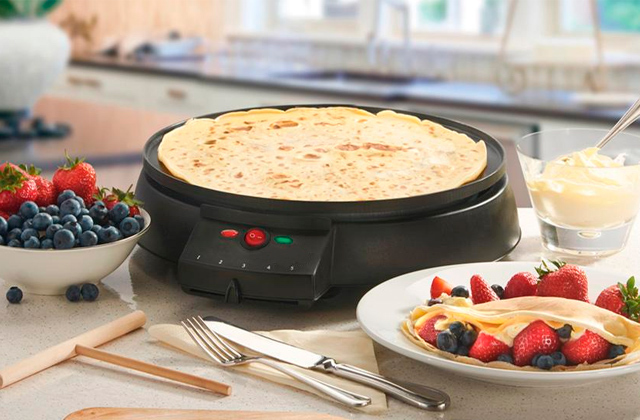 SPANLA here presents easily one of the most comprehensive food covers sets on the market today. In addition to the food huggers, the company sends you 4 round-shaped 7.9" x 6.9" food storage bags. If you live with a large family, we couldn't recommend this set highly enough. 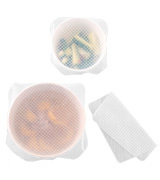 4 round-shaped food storage bags: 7.9" x 6.9"
6 round-shaped food savers: 2.5", 3.7", 4.5", 5.7", 6.5", 8.1"
The medium-stretchable food-grade silicone keeps the savers' original form, all while allowing you to stretch them over a much larger container. The transparent design makes it possible to tell where the specific meals and food items are stored even when the containers are identical. The silicone here isn't all that thick. 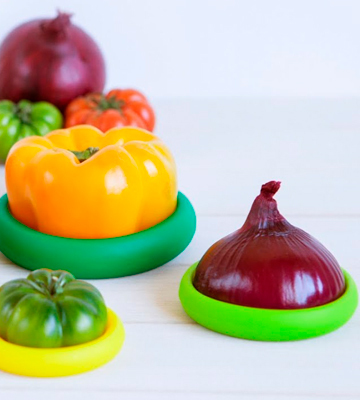 With these food huggers from Feian, you won't be able to preserve half-eaten fruits and vegetables but you will be able to keep different meals in different containers fresh and full of nutrients. 3 square food savers: 3.74" x 3.74", 5.67" x 5.67", 7.6" x 7.6"
First things first, the difference between this Farberware set and every other option on this list starts with variety. 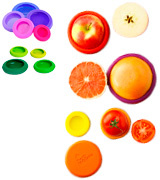 Here, the company supplies you with 8 round-shaped food savers: 2 x 1.75", 2 x 2.25", 2 x 2.5", and 2 x 3". The only issue here is that the package doesn't include 4" savers designed for traditional jars. Other than that, with so many different savers at your disposal, you'll be able to fit an abundance of different fruits and vegetables, including but not limited to lemons, apples, oranges, onions, cucumbers, tomatoes, and many more. 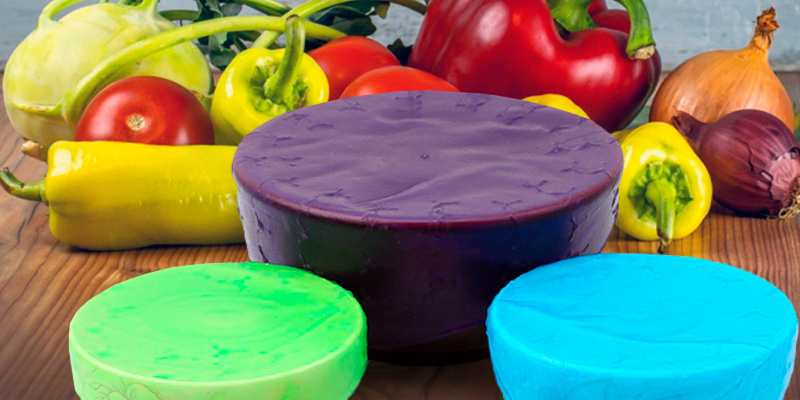 Variety aside, the huggers are designed with high-quality BPA-free food-grade silicone. The material doesn't absorb smells even after multiple days. Rinsing a saver like that under tap water will be all the maintenance required to keep it nice and clean. 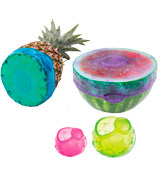 Speaking of maintenance, the huggers are completely microwave, freezer, and dishwasher safe, so you'll be able to put the fruits with them wherever you like. In other words, what we have here is a safe and convenient alternative to plastic wraps. 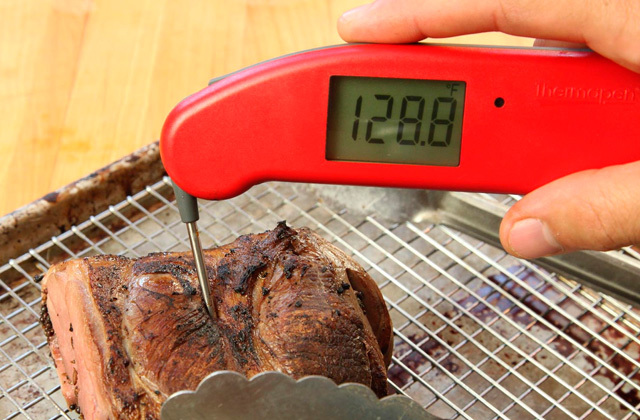 It is perfectly suitable for saving the second halves of your fruits and vegetables. The food huggers are secure enough but, at the same time, they're pretty easy to remove. The people at MIRUIKE, with these Universal Silicone Stretch Suction Pot Lids, win customers over with quality rather than quantity. 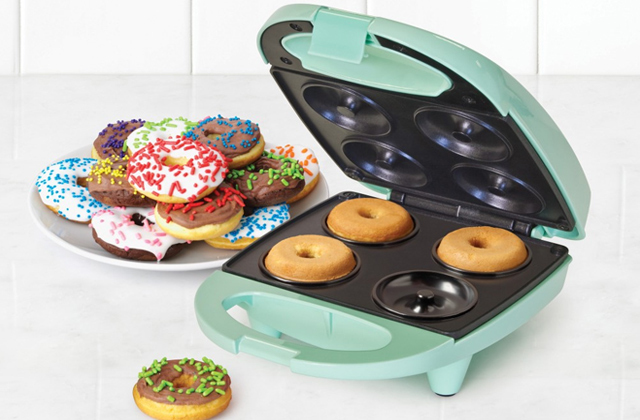 With 4 round-shaped food savers in the package (1.8", 3", 5", and 6"), it isn't the most inclusive set here but you could definitely make an argument that it is one of the more diverse ones. The food-grade silicone here is highly stretchable, making these food savers suitable for containers ranging from 3 to 10 inches. You can use them to cover and seal mugs, cans, cups, jars, bowls, plates, glass trays, the list goes on. Of course, considering how stretchable they are, it doesn't come as a surprise that these huggers begin to lose their original form after some time. Then again, it doesn't happen all that fast and the changes are usually barely noticeable. 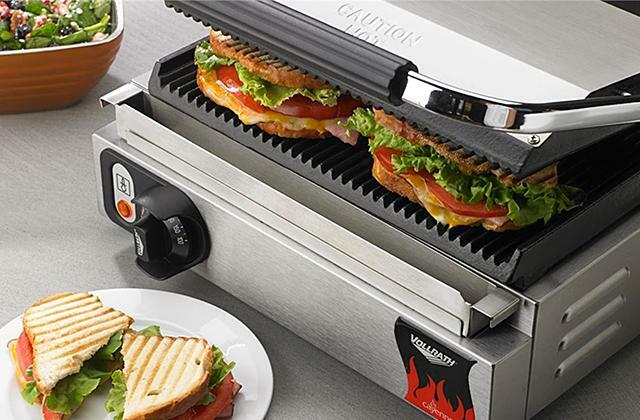 All in all, these things are really strong, capable of producing an airtight seal to keep your food, fruits, and vegetables fresh longer and away from flies. They come equipped with these nice little grooves that allow you to easily remove the lids, which is nice given, again, how strong they are. 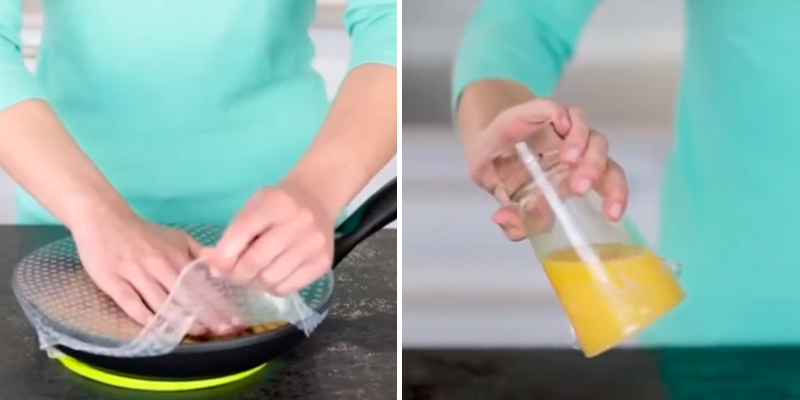 To put it differently, with MIRUIKE Universal Silicone Stretch Suction Pot Lids, you'll be able to keep anything sealed and preserved, from the smallest fruit to the largest container. The savers here very much differ in size but they're all equally heat-resistant and dishwasher, microwave, and freezer safe. 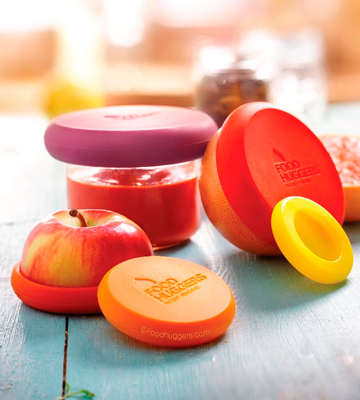 With this set from the appropriately named company, you'll always have a food hugger that fits. Inside the nice little package, you will find 5 round-shaped food savers, starting with the 1.25" and including a 1.5", 2.5", 3", and 4" hugger. They're all really nice and colorful but that's not the most important thing here. The most important thing(s) are, of course, quantity and variety. For instance, the aforementioned 1.25" saver is, as far as we're aware, unique to this particular set. With it, you'll be able to cover and seal half-eaten zucchinis, cucumbers, bananas, and other similar fruits and vegetables. You can also use the said saver for wide-neck glass bottles. The huggers here aren't very stretchable, which is usually a bad thing. But, considering the variety, we don't have a problem with it. Plus, the fact that they aren't all that stretchable also means that they will be able to maintain their original form for years to come, wrapping snugly around your leftovers. About the only real issue we have with these savers is that the silicone here does absorb odors, so you'll have to wash them more carefully to get rid of these smells. Apart from that, this is a food hugger set that gives you quantity and quality at the same time. 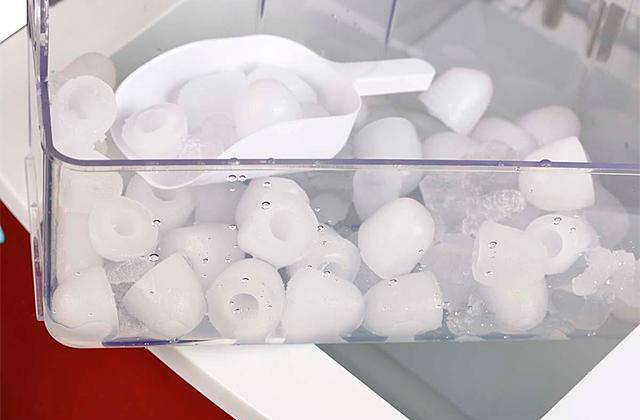 The silicone here is FDA-approved and 100% BPA- and phthalate-free. You can also use these savers as reusable can covers to keep the contents nice and fresh. SPANLA here presents easily one of the most comprehensive food covers sets on the market today. Of course, the proverbial meat and potatoes here are the 6 round-shaped food savers. Their sizes range from 2.5" to 8.1", so you'll be able to use them with the smallest fruits and the biggest containers. These savers are impressive in and of themselves but they aren't the only things that make this package. In addition to the food huggers, the company sends you 4 round-shaped food storage bags that measure 7.9" x 6.9" in width and length. These bags are great. They come with easy-to-read markings (ml, oz, cups) and airtight zip seals. Just like their food-hugging counterparts, the bags are dishwasher, microwave, freezer, and boil safe. 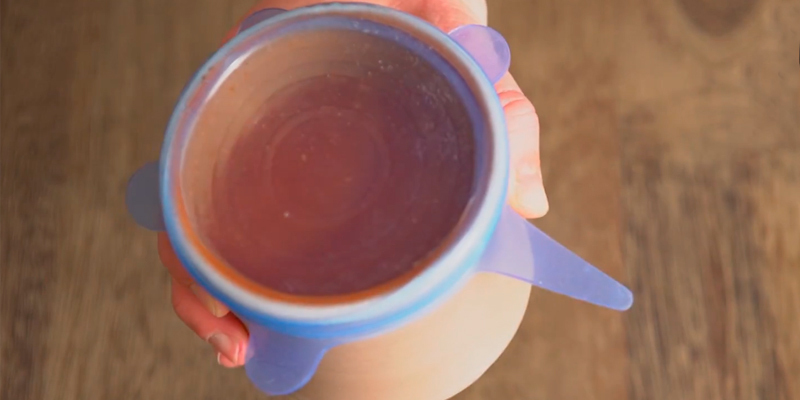 They're completely leakproof, so you can use them for soups, sauces, and smoothies. But, again, the set is more about the food huggers than it is about the bags, though they are a welcome addition to the overall package. 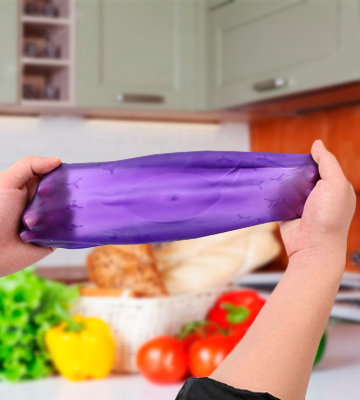 What makes the huggers so vital is the food-grade silicone that doesn't contain any fillers, coating, BPA, BSP, BPF, PVC, phthalates, or any other poisonous chemicals. It is completely tasteless and it doesn't absorb smells. The material is safe, recyclable, overall eco-friendly, hygienic, non-allergenic, non-reactive, repels germs and chemicals, and boasts a lifespan of 30 years. So, if you live with a large family, we couldn't recommend this set highly enough. 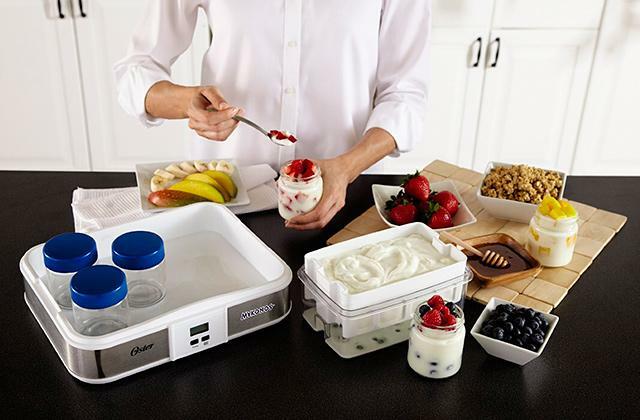 With so many food huggers and bags at your disposal, you'll be able to prepare many different meals in advance and keep those meals fresh for days on end. These huggers from Feian are a little different compared to every other entry in this lineup. First and foremost, the 3 savers that come with the package are square and not round-shaped. Adding up to 3.74" x 3.74", 5.67" x 5.67", and 7.6" x 7.6", they just won't be all that suitable for leftover fruits on their own. They will, however, perfectly fit different bowls and containers. There are things about these huggers that we like and things that we aren't too crazy about. 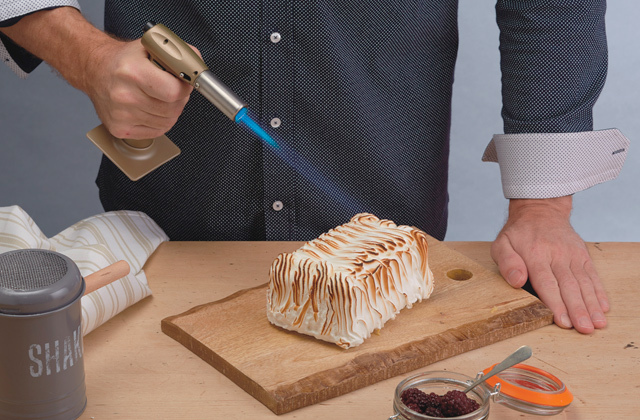 On one hand, we really like the medium-stretchable food-grade silicone. It is able to keep the savers' form, all while allowing you to stretch them over a much larger container. On the other hand, the silicone isn't all that thick and strong, so we would highly recommend being careful with the covers. The transparent design is also a nice change of pace since you'll be able to tell where the specific meals and food items are stored even if the containers themselves are identical. Of course, in some ways, these covers aren't different from your average food huggers. For example, they are just as dishwasher, microwave, and freezer safe as their standard counterparts. 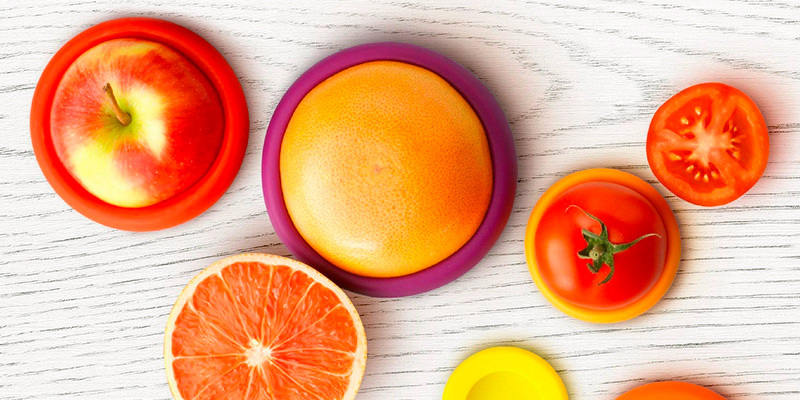 All in all, with these food huggers from Feian, you won't be able to preserve half-eaten fruits and vegetables but you will be able to keep different meals in different containers fresh and full of nutrients. What Is a Food Hugger? Food hugger is a silly name. But there's nothing silly about what these little covers can do. Also known as food savers, they will allow you to preserve the freshness of leftover fruits and vegetables, not to mention the unused portions of cans and jars. Preserving their freshness, you also preserve the beneficial elements like minerals and vitamins that would otherwise dissipate. 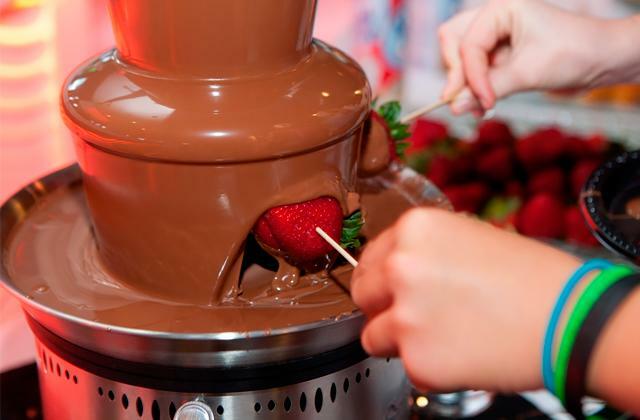 The idea here is simple - finishing your food isn't always an option. Things get in the way and, sometimes, you simply don't feel like it. Instead of throwing it in a dumpster or putting that food in a fridge where it loses most of its healthy nutrients, you pull out one of these food huggers and save that apple, orange, or even pineapple or watermelon for later. As far as variety goes, different huggers feature different size, different stretchability, and slightly different maintenance requirements. Certain models have their advantages and disadvantages but, at the end of the day, you can't really go wrong with any of the products on this list, provided you carefully read the reviews. 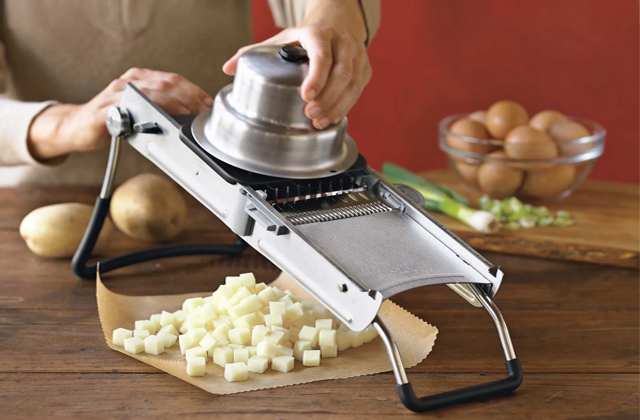 Alternatively, you could consider one of these food steamers and/or food choppers. 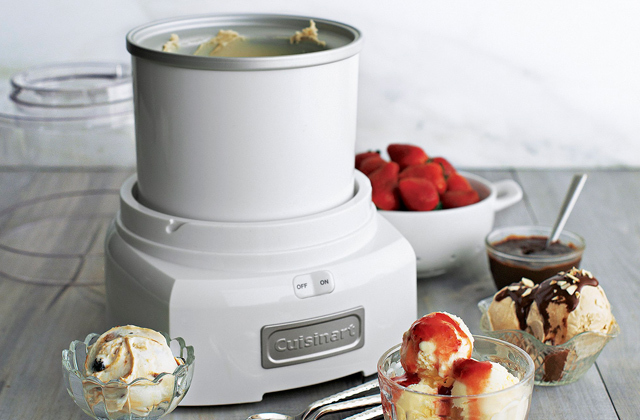 With these little kitchen appliances, eating healthy will become far less of a chore.